Railfanning the NS Pittsburgh Line from Altoona to Johnstown PA .
On a bitter cold January 17, Steamtown ran it Canadian National 3254 to Tobyhanna and back. The first shot is from the Scranton Radisson Hotel, the second shot is from the Gouldsboro Station. 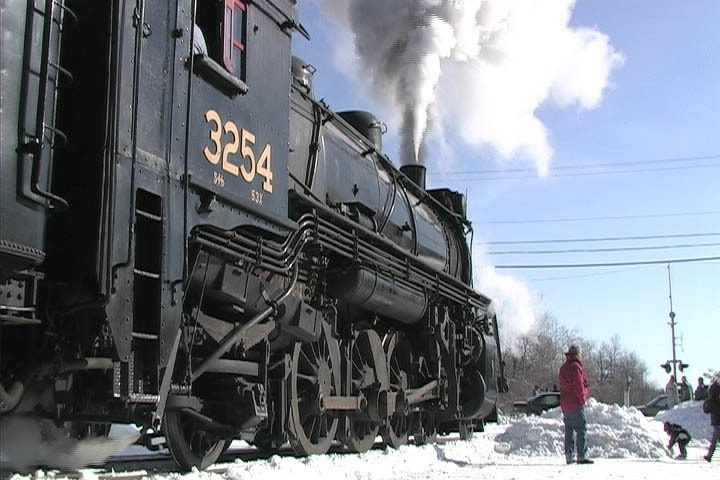 The next shot is the refuling of 3254 at Tobyhanna and teh final shot is from Gouldsboro State Park. Shot by Brian Reese. Copyright © 2019 Photorunby Blog.